Rich in martial art competition wushu judges and national Duan Wei system of CHINA examination training experience , for example : Lecturer for martial art competition refereeing course ; 100% passing rate in Duan Wei system examination for students who attended the intensive training course. Lecturer in Wushu Master Gatherings Club (Iconic martial arts master talk in Hong Kong) : Wong Shun Leung Ving Tsun Kuen Hok (Wong Shun Leung's Wing Chun Kung Fu) seminar hosted by Hong Kong Wushu Association with live demonstration showing complicate techniques and skills in Ving Tsun. Dedicated to promote Master Wong Shun Leung's training system of Ving Tsun and aim to contribute for worldwide martial art development. 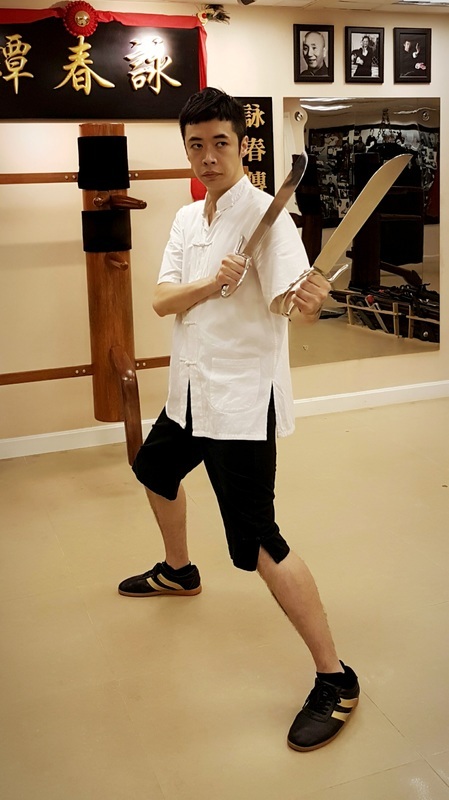 Students who practice Wong Shun Leung Ving Tsun Kuen Hok (Wing Chun Kung Fu of Wong Shun Leung 's system) can heighten their body reflex and develop mind of steel. One can also learn the realistic perspective and attitude of fighting effectively. Through continuously training, students can harness the correct respond and action such as using body resources efficiently while paying attention to your surroundings. These characteristics are crucial in a hostile situation for self protection and protecting the important ones around you. Wong Shun Leung Ving Tsun Kuen Hok follows a syllabus starting from easy movement to relatively demanding skill sets. Beginners start with simple attacking and defending technique with hand and leg combo. After learning the 3 sets Taolu of Ving Tsun , sticky hand practice can be introduced to students. Other equipment will be provided in training such as punching bags, gloves and had target training etc. Wong Shun Leung's system of Ving Tsun(Wing Chun) is not physically demanding to begin with therefore suitable for all person.